The single most successful method of increasing your profitability is through team building. Your business reach new levels. Sellstate's systems and guidance will help you build your team allowing you to multiply your income and have more time off. Contact us to get started today! With Sellstate, it is easier than ever to build a productive team that allows you to work less while growing your business. your quality of life will improve. Contact us to get started today! You worked hard all your life and now is the time to enjoy the fruits of your labor. We care about our Real Estate Advisors and want to ensure that everyone in our Sellstate family has the opportunity to retire with an income equal to their desires. The AAD program affords you the opportunity to do exactly that. It allows you to build ongoing monthly income that you will continue to receive long after your retire and beyond to your estate. 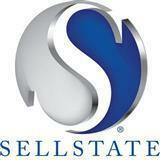 Contact me today to hear about why I chose Sellstate!